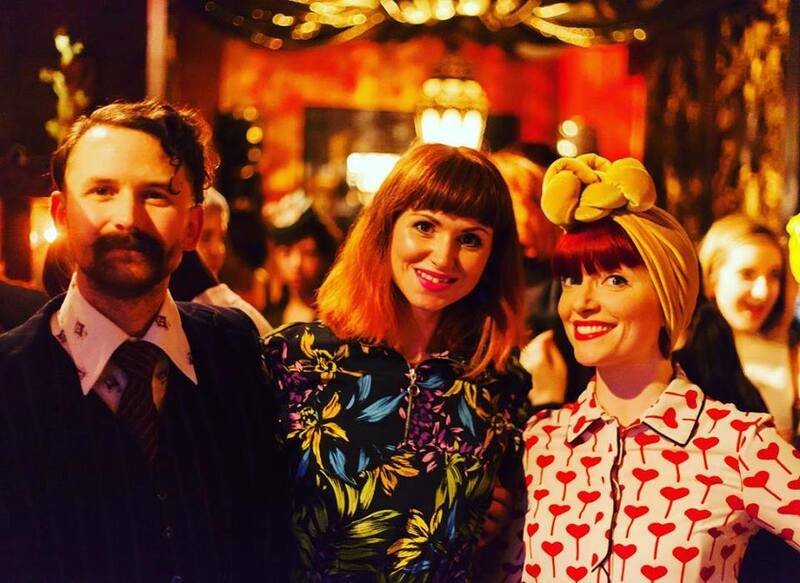 Hundreds of costume professionals filled Piccardilly’s Jewel Bar on March 15 to make new contacts and listen to fashion historians Amber Butchart and Christopher Laverty discuss the role of costume in film. The over-subscribed event was organised by costumer Wendy Benstead and filled the Middle-East-themed venue during cocktail happy hour. 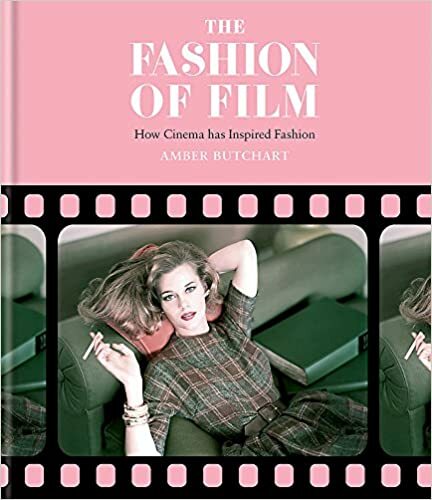 The networking event’s date was actually changed to facilitate a talk by Butchart based on her book The Fashion of Film that explores how cinema has influenced fashion. 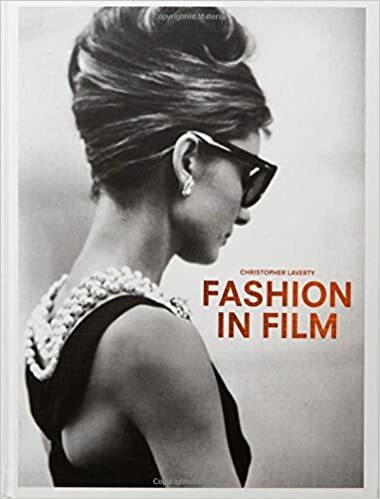 However, the event opened with Laverty’s talk inspired by his work on the closely-named Fashion in Film, looking at the visual and practical concerns that go into costuming a production. He drew upon Quentin Tarantino’s Reservoir Dogs and the black suits that now look iconic when due to budget constraints and a lot of blood effects several of the actors actually just wore black jeans. He also recalled fondly how when interviewing costume designers on major films he is inclined to read deeply into the meaning of specific garments and colour choices, only for the actual inspiration to be based on very basic matters like the availability of certain colours of fabric or a director’s favourite colour. Nevertheless he compellingly discussed the varying role of green in Joe Wright’s Atonement, from Kiera Knightly’s sumptuously rich dress to Saoirse Ronan’s more sickly cloth of envy. Butchart – now famous for BBC4’s A Stitch in Time with historical tailor Ninya Mikhaila – instead looked at the power of red shoes from Louis XIV’s exclusive heels to Christian Louboutin’s patented red soles. The role of film on fashion was beautifully articulated with little gems of trivia, like Dorothy’s ruby slippers in The Wizard of Oz that were silver in Baum’s original novel but upgraded to take full advantage of the new innovation of technicolour. As for the rest of the event the young and eager crowd seemed a promising future for the costume industry, braving a crowded and very hot venue to meet future colleagues. One lady was a costume student funding her studies as a receptionist and lamenting the trial of gaining just a few hours of sewing before having to clear her table for other tasks at home. Another worked in the costume department of Madame Tussaud’s waxwork museum but discussed the trials of freelancing as a path most costumers have to follow. A frequent topic of the night was the power of social media around costume – both as a curse giving viewers the ability to rapidly vent about historical inaccuracies made on the basis of style and narrative but also as a means to engage and connect with a fascinating world as has been seen in the hype surrounding the costumes of Black Panther. On that note, don’t forget to join the Costume Rag’s own Facebook group!